Students pursuing a public-interest career often face many hurdles. Uncertainty is one of them: the process to find a public-interest job is generally more ill-defined than the well-worn path to law firm jobs. Thankfully, there’s at least one public interest career that offers the chance to serve others with your law degree, but doesn’t leave you guessing on how to find a job. I’m talking about Judge Advocate positions with the U.S. military. While the application process and standards are rigorous, the path to a Judge Advocate General (JAG) career is well-defined, though it varies greatly from branch to branch. While I had thought about military service before, I seriously became interested in military law after I came to UVA. UVA is right next to the U.S. Army’s JAG School, which not only trains military lawyers in the Army, but also offers programs for military lawyers from all the other branches, and from some other countries as well. As a UVA student, you can take classes in the JAG school. Students can also take advantage of longstanding partnerships between the JAG school and UVA Law’s moot court and trial advocacy teams. The people I met at the JAG School greatly influenced my decision to join the Marine Corps. I learned about the different types of work that Judge Advocates focus on, including prosecution and defense work during court martials, operational law, and legal aid. Most judge advocates get immediate exposure to clients and the courtroom. I also learned about each branch’s unique culture. The Marine Corps, for example, emphasize being a Marine first and a lawyer second. That ethos appealed to me, and it’ll give me the opportunity to train alongside officers who will lead in all aspects of warfare. Regardless of the branch, Judge Advocates have the privilege of serving those who serve our country. I can’t imagine a better opportunity than that. 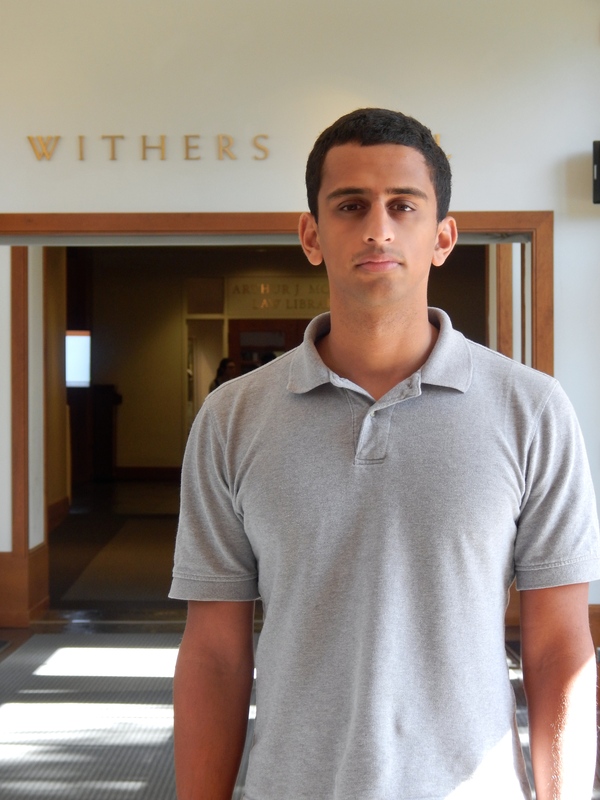 Ashwin Shandilya is a third-year law student, originally from New Market, MD. A second lieutenant in the Marine Corps Reserve, he graduated in 2010 from the University of Pennsylvania.